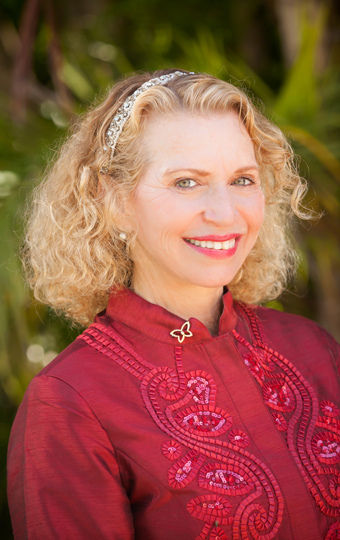 Sharen began her career in Real Estate in 1980. 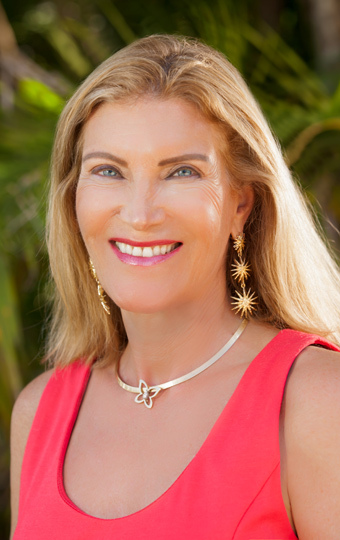 She began working for Kapalua Realty in 1995 and became the Principal Broker in 1999. As Principal Broker, she was involved in the planning, marketing and sales of Coconut Grove, Pineapple Hills Estates, and Honolua Ridge Phases I & 2. 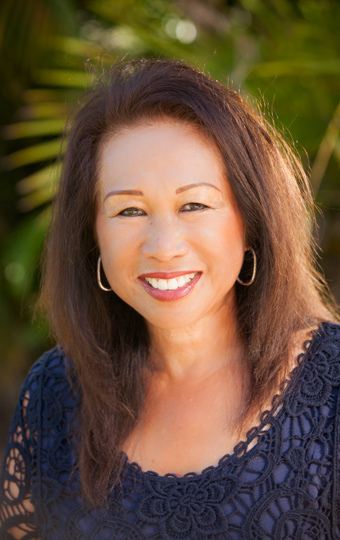 She has been an active participate with the Realtors Association of Maui serving on the Aloha Aina Review Committee in 2003, West Maui Regional Director in 2004, the Nomination Committee for five years and on the Grassroots Political Committee for eight years. Sharen has also been ranked as one of the top 100 Realtors in Hawaii by Hawaii Business Magazine. Her real estate designations include GRI (Graduate Realtors Institute) and SRS (Sellers Representative Specialist). 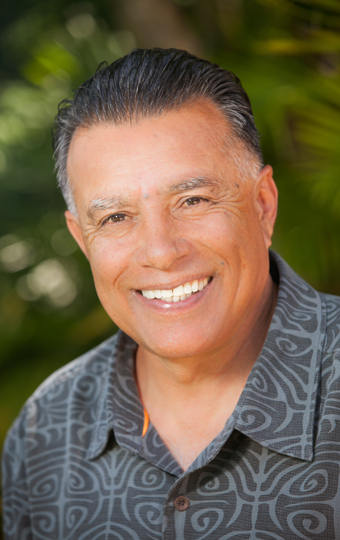 Baldev has lived in Hawaii for 33 years and been a Broker at Kapalua Realty for 25 years. He holds degrees in economics and political economy, including a PhD. He has done post doctoral work at the Hoover Institute, Stanford University and the University of Massachusetts. Apart from teaching at the University of Minnesotta, he has run his own businesses and been a business consultant. An easy going guy, who knows the value of a hard earned dollar he prides himself in looking after his clients’ interest. “One of the most interesting things about my tenure at Kapalua is the variety of people I have got to know. Everyone has a story, aspirations and dreams. My task is to understand their wants and help achieve them in the best way possible.” An experienced, knowledgeable and astute Realtor with eclectic interests, Baldev lives in Upcountry, Maui with his wife Kimi and sons Kayani and Avinash. Kimi joined Kapalua Realty in 1987. 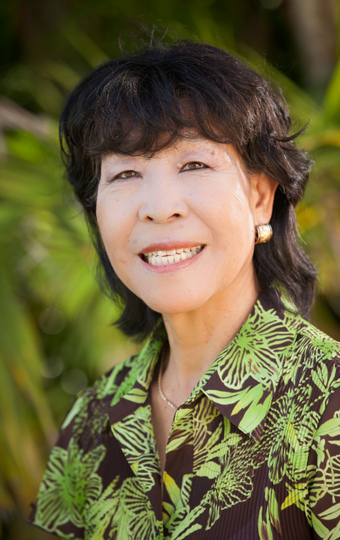 She was active in the Oahu real estate market prior to moving to Maui. A native of Japan, she is fluent in the language. She is able to incorporate the knowledge and understanding of both cultures to provide her clients with exceptional service. A resident of the Resort, Kimi has experienced its growth and metamorphosis. After growing up in California, Jeannine found the beauty and lifestyle of Maui an easy transition when she officially made Maui her home thirty eight years ago. Passionate about what the island has to offer, it was a natural progression when she became a Realtor in 1996. Joining Kapalua Realty as a sales agent in 1999, she continued her education by acquiring her Brokers license designation in 2000. Aware technology has become an integral part of the real estate business she has also acquired the ePro designation and the “CRS” Council of Residential Specialist designation, which many consider as the PHD of real estate. Jeannine is detail oriented, focuses on service and pledges to provide individual attention to each and every client. CRS (Certified Residential Specialist) comprised of the top 3% of all Realtors nationwide. This designation requires intensive training and testing. Joanne is the Maui Director for the Aloha CRS chapter. E-Pro is an internet based designation requiring computer skills for the internet market we have today. SRES is a designation to help seniors with their specific real estate needs in that stage of their lives. Robert graduated from the Pennsylvania State University with a degree in Business Administration after honorably serving 6 years in the United States Marine Corps. Enlisting at age 17, Robert learned early the importance of hard work, integrity, and self-discipline which he has applied to every aspect of his life and career. 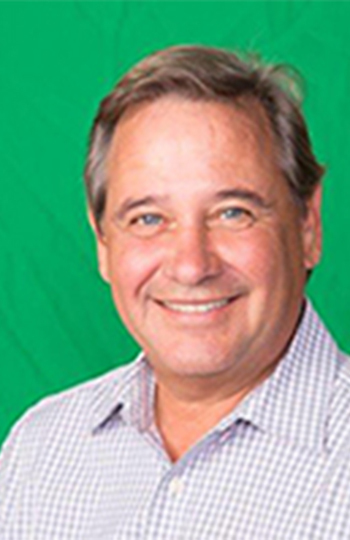 With 25 years of experience as a mortgage loan officer, real estate appraiser, real estate agent and investor, Robert brings a unique perspective which enables him to provide the utmost in quality customer service to his clients representing both buyers and sellers. A Maui resident since 2009, Robert has been coming to Maui since 2001 as his wife Angel grew up in Maui and has strong family ties in the islands. Moved to Hawaii to be a loan officer and then branch manager for the Hammond Company, which was a mortgage bank from 1987 to 1990. Regional Director for CENTURY 21 for Hawaii, Guam and Saipan from 1990 to 1994. Regional Director for Prudential Real Estate for Hawaii from 1994 to 1998. Started Charter Funding/First Magnus in 1998 (continued to) 2007, as a mortgage banker; President for Hawaii and Alaska (Largest privately held mortgage banker in Hawaii until 2007). Executive VP for Central Pacific Home Loans 2007 to 2009. 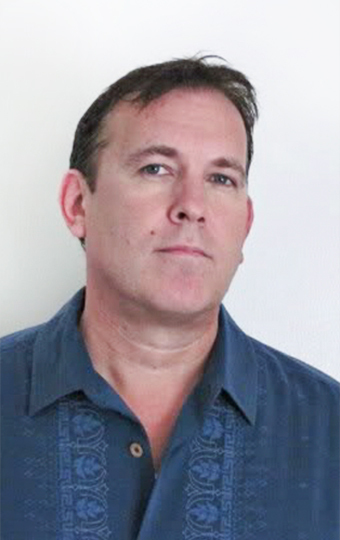 Moved to Maui in 2012 selling residential real estate. Married 28 years to wife Wyndy and have a 17 year old son named Adam. If you have any questions or need additional information, please contact one of our “Kapalua Experts” today or stop by our office located in the shops on Office Road near Sansei.